Mauna Loa is the world's largest and one of its most active volcanoes - a giant shield volcano on the Big Island of Hawai'i. The latest update of the USGS mentions that minor inflation of a shallow magma reservoir beneath Mauna Loa may be occurring. Seismicity rates were slightly elevated. However, the level of observed seismicity is far from alarming and the alert level remains at green.  No eruption is expected in the near future. "Deformation: Deformation of Mauna Loa continued to be dominated by southeasterly motion of the south flank. However, slow, localized uplift also continues near the summit caldera (~1cm/yr at MLSP) suggesting that some inflation of the shallow magma reservoir complex beneath the summit area is occurring. Seismicity: Seismic activity within the southwest rift was slightly above background levels. HVO seismic networks detected 1 shallow event below summit area, 2 mid-crustal events (5-13 km) west and northwest of summit, 8 shallow events within the southwest rift, 1 shallow events on the northeast rift zone. Gas: No significant changes in SO2, CO2 were recorded by the Mokuaweoweo gas and temperature monitors during May. Fumarole temperature varied between 72 and 74 degrees during the month. Background: Re-inflation of Mauna Loa's shallow magma storage reservoirs started immediately following the most recent eruption in 1984, then turned to deflation for almost a decade. In mid-2002, inflation started again, just after a brief swarm of deep long-period (LP) earthquakes. A more intense swarm of several thousand deep Long Period (LP) earthquakes occurred in late 2004, immediately preceding a dramatic increase in inflation rate. Inflation slowed again in 2006, ceased altogether in late 2009, and resumed slowly in late 2010."